I am very busy writing patterns (and knitting them to check that all is OK) - to get them ready to share them with you. But this means that I simply do not have time to read every comment or question. So - I have set up a couple of facebook group pages with the idea that though I may not be around ....... 10,000 other knitters and crocheters will probably be able to help ! Please join either (or both) of my groups - you will find friendship and inspiration there. 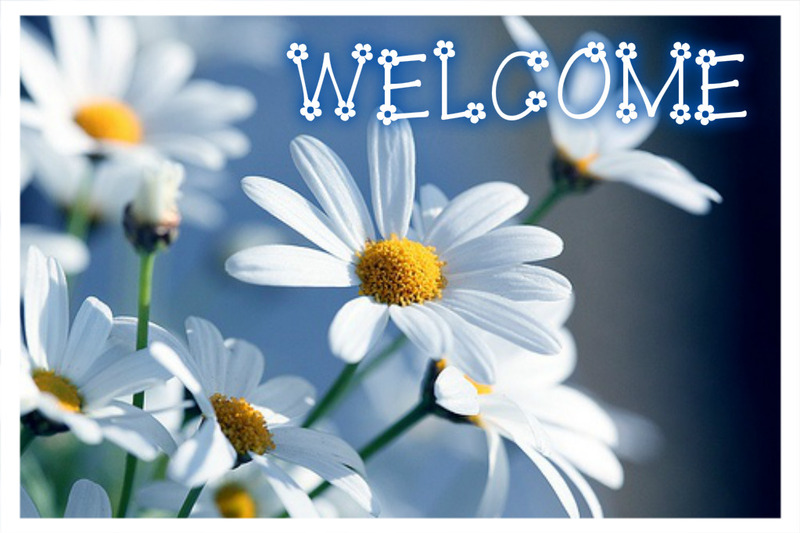 The first group is for ALL knitting or crochet questions, comments and chat. Share your photos and see what others are making. 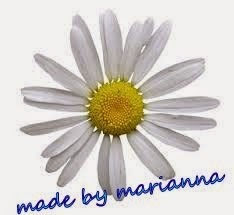 The second group is for Marianna's Lazy Daisy Designs ONLY. Ask questions, show your finished projects and get inspiration from other talented crafters. Everyone you made was wonderful. I would love to see even more and if you make a pattern for a ladies sweater I would buy. Your patterns look like they would be easy to follow. 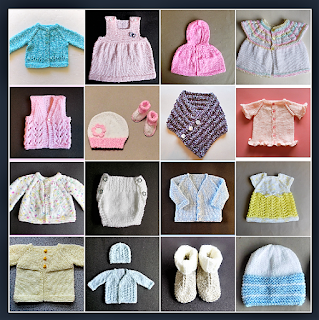 Your lilac blossoms baby set does not mention how much yarn is used in making this project. I want to make this as soon as I find out the amount and type of yarn used. I have done this set. I used about 200g for the blanket, about 100g for the dress and maybe just under 100g for the cardigan, hat and bootees set. Thank you for your wonderful patterns. I am currently knitting the sleeves on Your Top-Down top with sleeves. When I slip the first stitch should I do that knitwise or purlwise? Many thanks. I just finished my first Babbity.Do you always get a sort of hole at the armholes? I darned it in but wonder if I did anything wrong. 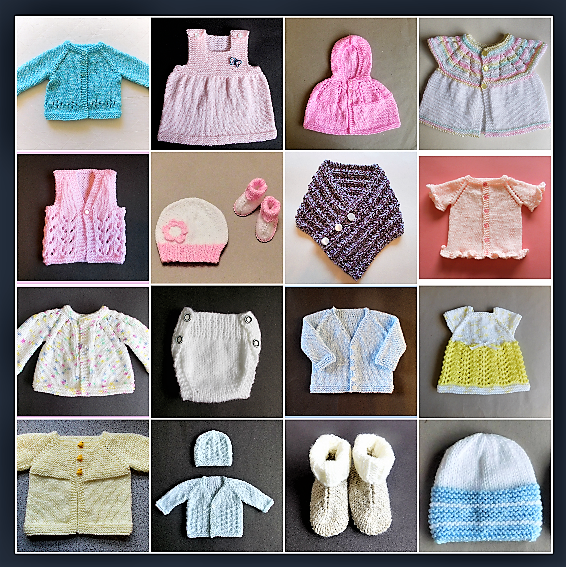 I just love your patterns, especially since there is little seaming on the sweaters. I do wish you would have more 6-12 month patterns, since babies grow so fast. When I gift my projects I like to give something a little bigger. Thanks for such sweet and easy patterns. Hello! I love the pattern for the Easy crochet poncho. So cute! My question is, how do I make that in larger sizes. Do you have patterns or instructions on how to increase size?